It’s a phrase used to ward you off taking another bite of that cookie or slicing yourself that extra large piece of cake. But is it REALLY that bad? Surely one little stray away from the diet isn’t going to do any harm, is it? And what about those out there that wholeheartedly believe a full on cheat day is justified? Slogging away for 6 days straight on a diet of plain foods and steamed vegetables. Plate after plate full of food that you struggle to get down your throat because of the dry texture and it’s general lacklustre taste. Surely that deserves a cheat day? After all what harm can it do? The cheat meal has be around the fitness and bodybuilding world since time immemorial. But what exactly do we mean by a cheat meal? That’s pretty much the exact definition of the scenario of the guy ordering the Indian takeaway that we opened up with. First of all, I’ve gotta say that I’ve just learnt something new myself. I must lead a pretty sheltered life as I’ve never heard of Full Fat Friday until now, but apparently it’s definitely a ‘thing’. How did I miss that one all those years I never stuck to a proper nutrition plan? In a chocolate covered nutshell, the definition of a cheat meal or a cheat day is a time when you get to eat whatever the hell you want. Throw caution to the wind and devour anything and everything that gets in your way until you’re fit to bursting point. No wonder people crave for these cheats. They sound frikkin’ AWESOME! But, sadly this is where we need a bit of a reality check. What Damage can a Cheat Meal / Day Really Do? Let’s go right back to the beginning of the article and use our man ordering the takeaway as an example. To make the maths easy (it’s late on a Monday night, so the maths needs to be easy) I’ll assume the guy in question has a TDEE of 2,000 calories. He’s on a cut and his target daily calories are 1,500. Before the macro Nazis get on my case and tell me the calories are too low etc etc etc, just remember this an example to prevent my head from bleeding at this late hour of the evening. Daily calories of 1,500 mean that there’s a daily calorie deficit of 500 calories and a weekly calorie deficit of 3,500. With me so far? Good. If takeaway guy (I really should’ve named him to avoid so much typing. Let’s call him Steve from now on) eats well from Monday to Friday he’ll be in an overall deficit of 2,500 calories. Let’s say on Saturday he eats his normal food as per his meal plan up until dinner, which totals 1,200 calories for the day so far. Then he orders the whopping great curry with the starters, all the trimmings, and those 4 beers. That’s an additional 3,300 calories, taking his total for Saturday alone to 4,500. That’s wiped out the entire calorie deficit he’d been building up over the course of the week. Feeling slightly worse for wear, he wakes up on Sunday morning and out of guilt he decides to go back to diligently sticking to his prescribed macros, putting him back on 1,500 for the day to close out the week. Leaving his net calorie deficit of the week at just 500 calories. Here’s a little graphic to help summarise all that. By eating the high calorie cheat meal on Saturday, Steve instantly wiped out the progress he made in the previous 5 days. Hopefully you can see from this brief (and slightly over-simplified) illustration that an uncontrolled cheat meal, in the traditional definition of the word, doesn’t come guilt free and it doesn’t come without consequences. There’s a knock-on effect somewhere in your plan and you have to either be willing to accept that and make slow (or no) progress, or you can adopt strategies that allow you to eat those foods you enjoy, without this headache. What’s the Right Way to Plan a Cheat Meal? Don’t think of it as a cheat. The easy answer to that is DON’T HAVE ONE. And by that I don’t mean restrict your food choices to boiled chicken salad every night. What I mean is that a well constructed meal plan that is based on your specific macro and calorie requirements can contain a whole host of foods, without much restriction at all. The beauty of a flexible dieting approach is that ‘cheat meals’ in the traditional sense don’t really happen. You have the flexibility to chop and change your food choices around at will. As a quick example, there’s a guy I did a nutrition plan for (which I’ve got as a testimonial on the site here) who loved eating chocolate and Haribo after he trained. That was motivation for him and a little treat he could look forward to at the end of a hard session. I was able to show him how he could keep that ‘cheat’ food in his diet and still have a completely well-balanced meal plan. I love the flexible dieting approach for many reasons, which I won’t get into right now. However, I do just want to reference a couple of studies that have particular relevance in this article. This study conducted in 1999 at the Louisiana State University, looked at the flexible and rigid dieting methods and assessed which was better in limiting overeating and reducing weight. The study concluded that there was a strong link between flexible dieting and the absence of overeating, lower body mass and lower levels of depression and anxiety. The other interesting finding was the strong correlation between the restricted diet and binge eating. Flexible dieting overwhelmingly won out on this one I think you’ll agree! Another tick in the win column for flexible dieting then. All this talk of flexible dieting, chocolate, and Haribo sounds great, but it’s important not to stray to that extreme all day every day. Obviously, you’re going to want to have a balance between ‘cheat’ style foods and nutritious fruits and veg, because those micro nutrients are all important too, so don’t neglect them. The impact on your calorie deficit across the week is zero. If it’s all within your macros, there’s nothing to worry about. 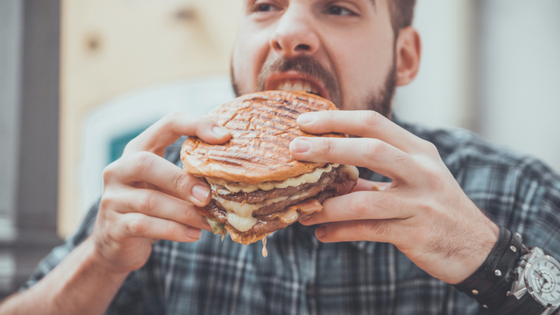 You’ll be loving what you’re eating day in and day out, so those urges to binge and go crazy are less likely to be there. I truly believe that if you’re constantly thinking about that cheat meal at the end of the week, then your meal plan isn’t working. Ultimately, it’s not sustainable. If you carry on with that thought process, eventually you’ll crack as your willpower is only good in the short-term. Set yourself up with a meal plan that works around you, with foods that get you excited come meal time. And learn how to be flexible with your food choices. Using an app like MyFitnessPal or Mike’s Macros will help you track your calories and macros for the day when you’re not following a strict meal plan. This is easily, the most sustainable way to ensure that you make your progress and gains stick in the long run. Meal plans are great to get you started on your fitness journey and to make really significant progress. However, once you’ve achieved those goals, it’s the ability to track and monitor your calories, and be flexible with your food intake that’s really going to make the difference. A refeed is basically a cheat day, but with rules (so not a cheat day as you might think of it right now). Let me explain the thought process behind it. You’ll probably hear a lot of people (mainly bro-scientists) tell you a cheat meal is needed to boost the metabolism, which starts to slow after a period of time in a calorie deficit. Having those extra calories ignites the body’s fat burning fire, is what they’ll tell you. Effectively, your being sold the dream that a huge curry, rice, samosas, poppadoms, and beer is actually going to make you lose more fat than ever before. You and I both know by now, this is just a ton of BS. So let’s talk about the facts and some REAL science. The bro-scientists were actually correct (in a way). Evidence shows that there is a slow down in metabolism when calories are restricted. And this slow down increases as the calorie deficit increases. The two studies I’ve linked here are from a great article by Mike Matthews over at muscleforlife.com that I highly recommend you read if you want to delve more into the science behind this metabolic slow down theory. With this in mind, if you’re currently dieting to lose weight and body fat, you should be in a calorie deficit. However, it’s important to make sure that the calorie deficit isn’t too aggressive as you will hit this metabolic slow down very quickly. Also, when you eventually decide to over indulge, perhaps because the extremely large deficit you’ve put yourself in leads you mental breaking point, then the effects are going to be impacted even more. Yes. You will have given your metabolism a boost, but the aggressive calorie restriction you’ve been in, and subsequent binge eating will likely result in your body retaining more fat than when you started. This is because the body has been in such a great calorie deficit that it’s response to receiving way more calories than it needs, is to store a large proportion of it as fat. And you don’t need me to tell you what’s going to happen if you repeat that process on a weekly basis! The structured refeed addresses the issue of a slowdown in your metabolism by increasing your calories by a specific amount. Around a 30-50% increase is usually the typical range, but it’s something worth experimenting with to find what really works for you. It’s recommended that you apportion those calories mainly to carbohydrates. This is because carbohydrates are proven to increase your leptin levels, which has a direct impact on your energy expenditure. This study looked at the consequences of over eating carbohydrate versus over eating fat. Of the 10 women that took part in the study, those that consumed carbohydrates saw an increase in leptin of 28% and an increase in energy expenditure by 7%. This is in comparison to the remaining participants who saw no effect in either leptin or energy expenditure by consuming fat. Additionally, you’re unlikely to need to increase your protein levels if you are consuming 0.8 – 1.2 g/kg in your normal daily diet. You simply don’t need any extra calories from protein. So hit those carbs hard is the message! Now we know what a structured refeed is, let’s see how our friend Steve could’ve managed that takeaway order better. With a daily calorie target of 1,500 his refeed range would have been anywhere between 1,950 and 2,250. If we take off the 1,200 calories he already consumed during the day on Saturday, he’s left with between 750 and 1,050 for his slightly more indulgent evening meal. Roughly speaking that means he could’ve had the curry and rice without batting an eyelid and without any pain of guilt. And to top it off, he would probably doing his weight loss a favour. Easy, right? My last word on refeeds is frequency. If you’re new to the concept, then start out with one every 14 days to see how you get on. When you’re cutting I would never recommend any more than one every 7 days. There are always exceptions, but I wouldn’t feel comfortable recommend anything else to you without knowing your circumstances beforehand. This is a concept that I spoke about in my article at the end of last year, looking at how to cope with Christmas Day and the sheer amount of food and temptation that’s put in front of you. Here’s the extract from the article. Just substitute Christmas Day for the specific event or occasion you’ve got coming up. “Switching to a day of zero carbs on the days where your food consumption might go through the roof is a good strategy to adopt for a couple of reasons. If you make sure your breakfast is high in protein rather than high in carbs then you will feel full for longer helping you to avoid snacks and temptations in the late morning and early afternoon. A great option would be some scrambled eggs and smoked salmon. Often a common breakfast on Christmas Day and an ideal start that won’t make the start of the day feel like a chore by starving yourself. If you can skip breakfast altogether that will free up a significant amount of calories that provide you with an even bigger surplus when it comes to the big dinner of the day. Let’s use me as an example of what that all looks like and what impact it would have. My current calories at maintenance levels are c.2,600. That breaks down into 205g of protein, 305g of carbs, and 65g of fat. Carbs have around 4 calories per gram, which means that I’m getting a little over 1,200 calories from my carb intake alone. There are always going to be times when controlling your macros and calories is difficult. They’ll be a time when simply you can’t estimate very accurately the foods you’re eating. Maybe you’re going to a friend’s wedding where there’s going to be lots of drinking, great food, and possibly even a massive buffet to work your way through. So what do you do in these situations? Bring your tub of chicken and rice along and ask the kitchen staff to reheat it? Phone ahead to the venue and get them to whip up an egg white omelette, just for you? I confess these are things I’ve ACTUALLY done. But having lived and learned through the process, I know I wouldn’t do it again because there’s simply no need. You need to treat these events as if they were a ‘cheat meal’ and plan accordingly. If you skip breakfast and make food choices through out the day that are high in protein and low in carbs and fat, then you’ll be saving up a significant number of calories over the course of the day, which you can put toward that buffet and a few glasses of champagne to congratulate the happy couple. Use this strategy where you can and you’ll be minimising the damage of that unplanned pig out. The definition of the cheat meal from that bygone era needs to die a very quick and painful death. It’s an outdated and ill-advised practice to eat a ton of food until you’re fit to bursting point, with complete disregard about what it will be doing to your overall progress. It’s bro-science of the highest order that you need to avoid. Follow a well-structured nutrition plan based on a flexible dieting approach (if you want help with that, then scroll down now). Ensure that the plan is tailored to you and incorporates the foods you enjoy. Learn how to be flexible with your food choice, so you can make quick changes and still stay in your calorie range (I recommend a calorie tracking app for this). Plan a structured refeed in your plan once every 7 or 14 days, so you receive the benefit of the boost in metabolism without halting your weight / fat loss. On days where you can’t avoid a ‘cheat’ and you can’t track calories, limited carb intake before and after that blow out meal to save some calories in the bank. Follow those 5 steps and you can cheat to your heart’s content and STILL make progress. And if you follow those rules, you can still call it a cheat / treat day, because if you’re anything like me then calling it a cheat day still has a strange child-like sense of excitement that you always look forward to. That’s enough to put you off a cheat meal for good! Need help putting that nutrition plan together? My aim with all my articles to to bring you useful information that you can turn into positive action, quickly. I want to give you solid facts, backed by real evidence and experience that will get you results. If there’s something specific on your mind and you want me to provide an answer, just go right ahead and drop me a message or stick a comment in the comment box. If you’re struggling to make sense of it all. I get it. I was where you are right now. Confused by all the conflicting information and not really knowing if I was doing things right or not. So if that’s you, why not check out an Iron Paradise Fitness meal plan by clicking the button below. I want to work with you to make sure that positive change actually happens for you. Setting up that meal plan from day 1 is going to be crucial to your success. Don’t spend any more time spinning your wheels or heading in the right direction. Let’s put you on the right track now. And don’t forget, I back up everything I say with my no questions asked 100% money-back guarantee. I believe that with your hard work and my coaching you can achieve your fitness goals. I’m looking forward to watching your transformation happen!